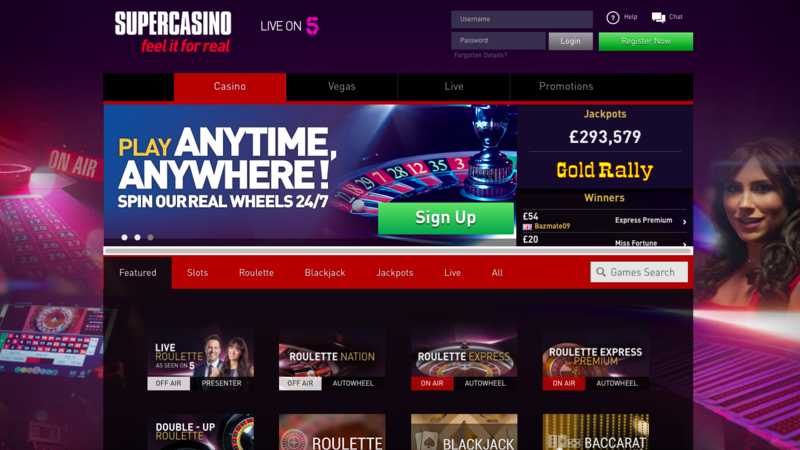 In the world of online casino sites, there is competition at every possible turn, down to the point that it must be difficult to find a title for a site that has not yet been taken. At the opposite end of this particular spectrum, sits Super Casino, a site that has what may be the simplest title any site has ever had. If you are familiar with online casino play, you will be familiar with Super Casino, which is one of the biggest online casinos on the planet in terms of popularity. 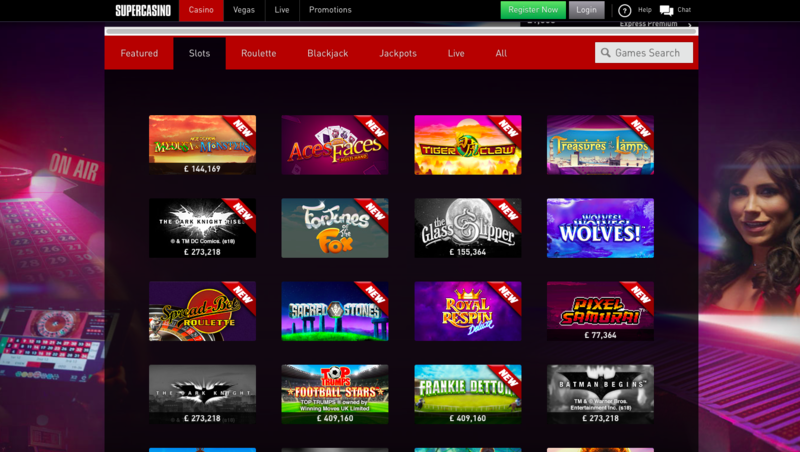 Super Casino does a stellar job of offering efficiency to its customers, with many of the most popular games on the site available directly from the homepage, this includes labelling of what live games are currently on air at the time of your visit. The backdrop is a studio set with cards, a roulette table, and various other themed images, faded into a purple-blue colour scheme. Navigation is incredibly easy here, allowing you to bounce between Casino, Vegas, and Live sections of the site, all of which offer essentially the same but also slightly different things to players. There is not much to write home about when it comes to design work here, but as said before, there doesn’t need to be, Super Casino does as much as it needs to, and no more than that, which will appeal to some and upset others, one feels. Titles here come courtesy of GW Games, IGT Interactive, NetPlay TV, Playtech, and Quickspin, a nice mix of software providers, although some of the biggest names in the industry are somewhat missing. Not offering games from the likes of NetEnt, Microgaming, NextGen and friends may be cause for criticism, but this is one of the most popular casinos in the world, they’re clearly doing okay without this, with much judgement somewhat difficult. The existence of Playtech games is a huge bonus, especially at the moment, as Super Casino offers four of the software providers new and soon to be legendary Age of Gods series of slots. When choosing whether you use Super Casino, put in some research, every popular thing has a lot of critics, but there are a lot of people and sites that do not approve of the way Super Casino handles their business. But maybe this is just a case of starting a fight with the biggest boy in your new school, maybe Super Casino is judged because of its size, but then again, maybe it isn’t.